A Dingo’s got my TV series? Ernie Dingo will front Seven’s newest animal series, Outback Wildlife Rescue, when it launches after the Olympics. Shot in Queensland and Northern Territory, the series is put together by Freehand who are busy with Top Gear Australia and Dancing with the Stars (no longer under Granada). Executive producer Chris Thorburn has previously said the series had been a “no-brainer” to shoot most of the 13 half-hour episodes in the NT. No airdate has yet been announced. Will this or Outdoor Room be the next 6:30pm Sunday programme? Go behind the scenes as Ernie Dingo introduces us to some of the country’s most breathtaking scenery, colourful characters and dramatic rescues in the new Channel 7 series Outback Wildlife Rescue. “There is so much to learn about wildlife and there is so much that can be learned through wildlife,” says Ernie. Outback Wildlife Rescue tells the incredible stories of everyday heroes bound by a single mission: to save wildlife, anywhere, anytime. 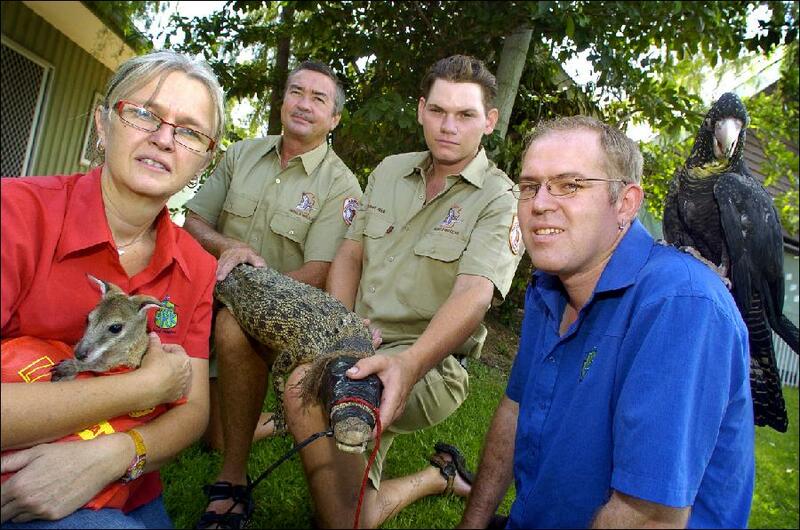 From the tropical Queensland coast to monsoonal Darwin, to the red deserts of Alice Springs and beyond, Outback Wildlife Rescue features dramatic rescues, thrilling crocodile patrols and heartfelt emotion as animals are saved and returned to the wild. Nature lover Ernie, who has four horses and a cat as pets, is excited to introduce viewers to some unique native animals and the dedicated and passionate people who protect them. “Outback Wildlife Rescue will give kids a great opportunity to see people sharing their world with animals they wouldn’t even see in a zoo,” he says. Outback Wildlife Rescue is a Freehand Production, produced with the assistance of Channel 7 and distributed by BBC Worldwide. Outback Wildlife Rescue is coming soon to Channel 7. Watching Outback Wildlife this afternoon Sunday the 11th January I was appalled to see how your film crew treated a frillneck lizard. Pushing the camera into its face to encourage it to hiss and jump and then to chase it until it had to hide under the wheelrim of a car for protection. This poor defenceless little animal was totally frightened, your cameraperson is nothing but a bully; you should all be ashamed of yourselves for allowing this to happen. I won’t watch your show again and I will make it my business to tell this story to all I come into contact with.